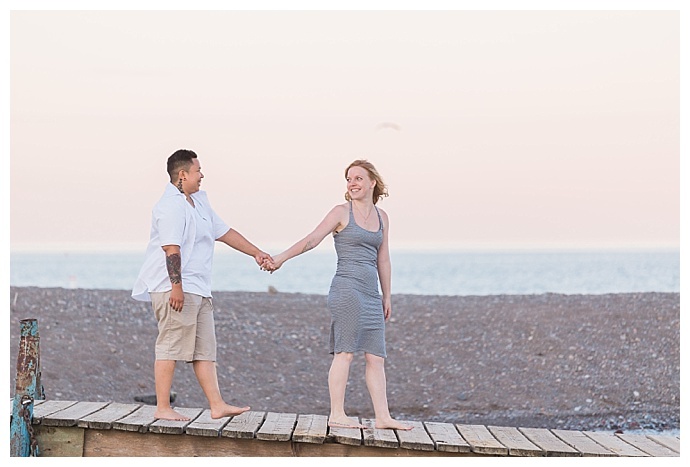 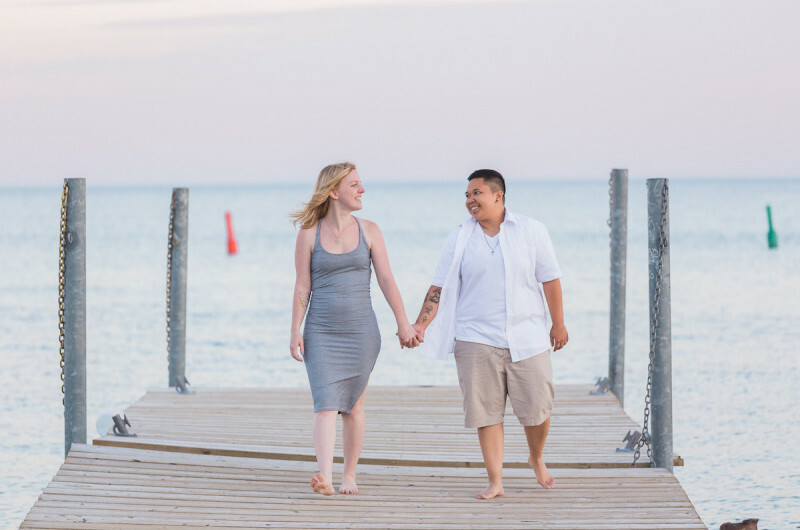 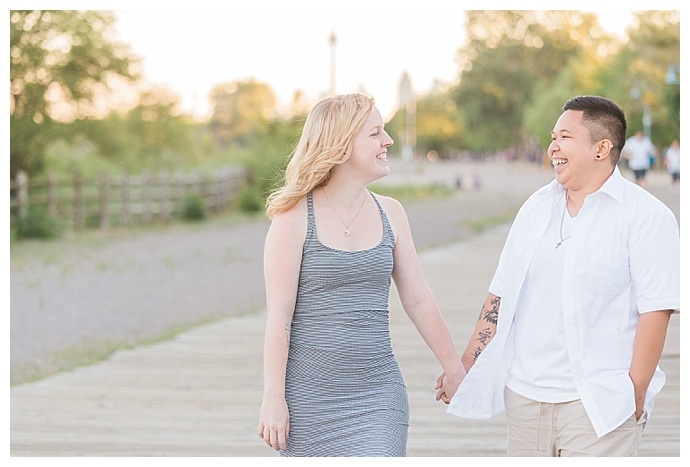 It’s officially Pride month, which is why we couldn’t be happier to share this beautiful engagement session of a couple whose love story began when they met at Pride in Toronto. 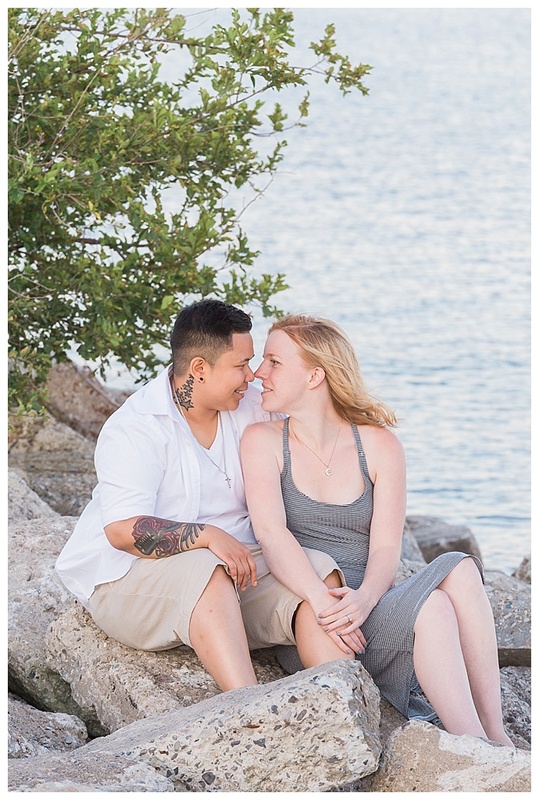 Nearly two years later, Ashley and Victoria were vacationing in Cuba when Victoria suspected she was about to be asked that magical four-word question. 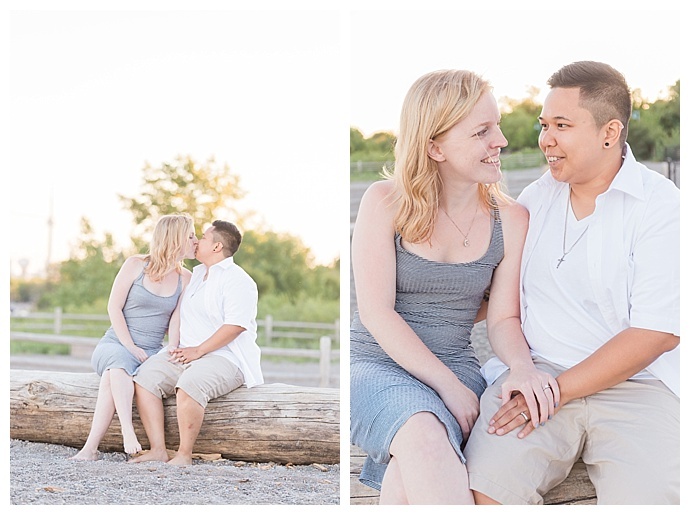 “Ashley took me to the beach trying to be sneaky,” she says. 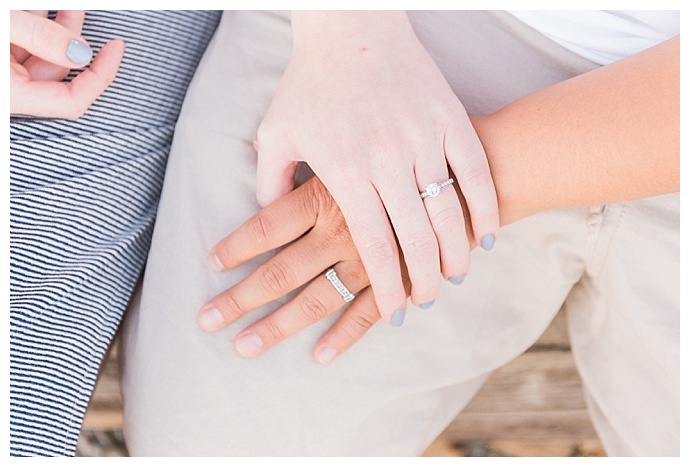 “But I knew it was coming.” And even though she caught onto Ashley’s plan, she didn’t need more than a second to think about her answer. 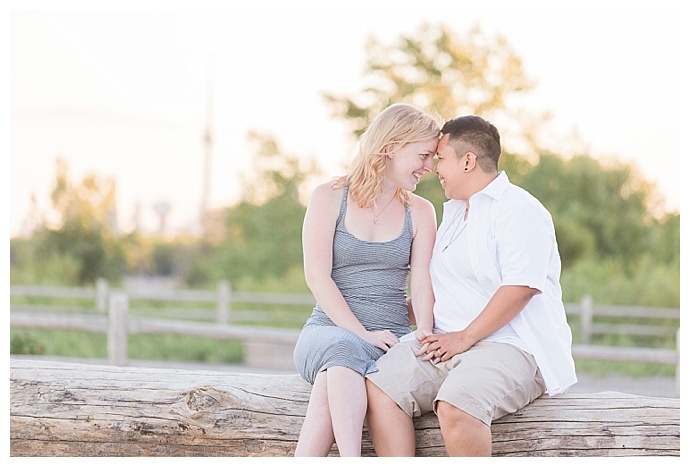 “When you love someone, you know,” Victoria says. 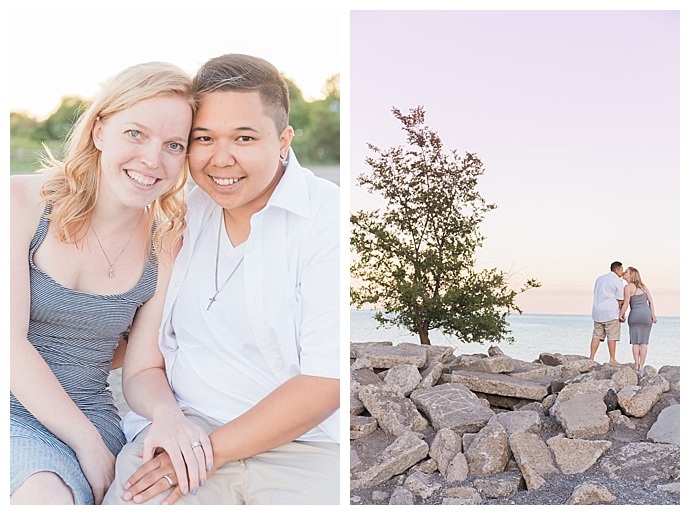 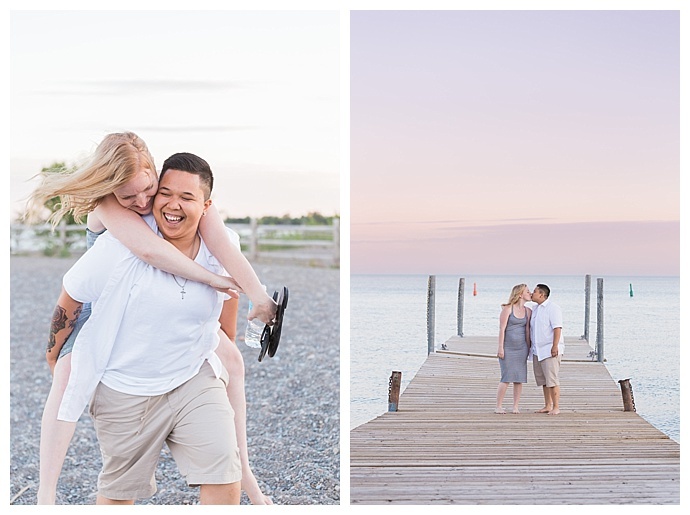 The light was perfect as Ashley and Victoria strolled along the rocky shoreline of Kew Beach as a pastel purple color enveloped the sky above the water. 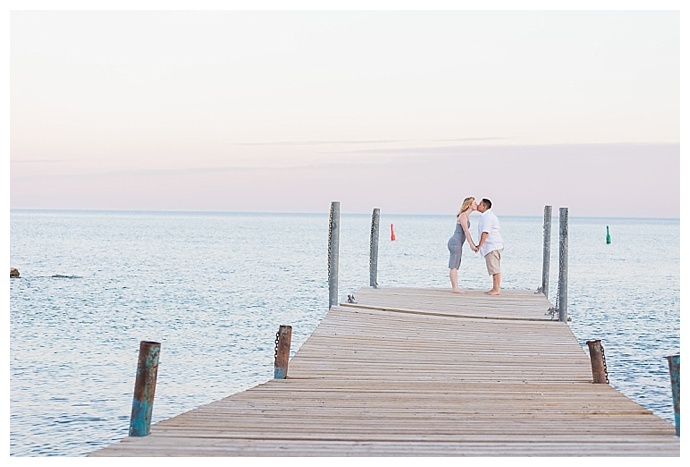 We love the way Samantha Ong Photography captured the glowing soonlyweds, who looked comfortably in love as they held hands walking barefoot along the docks.